"When this distinguished lady gets moving in a breeze it's a picture to behold; she romps along and overtakes fibreglass youngsters that could be her grandchildren. With a fresh breeze harnessed by her full press of sail, DUEN charges along as if arriving from another era." DUEN is a classic heritage sailing vessel and is a traditional Norwegian designed Galeas gaff rigged ketch built in 1939 in Flekkefjord, Norway. Duen, Norwegian for "Dove" is a true classic that has a long and rich history to be told. Michael and Manon Hobbis are proud to have been her third custodians since 1986. The first, 2 brothers, plied the waters between Norway and Iceland for 9-month fishing seasons. They proved that her powerful 13-inch, double planked hull could withstand the shallow and infamous North Sea. 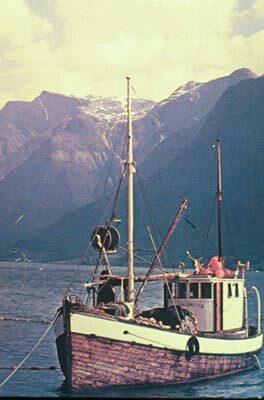 In 1971, an adventurous American couple, the Fletchers, saw the offshore potential in the full keel of DUEN . They converted and redesigned her to a loftier and more graceful sail plan. 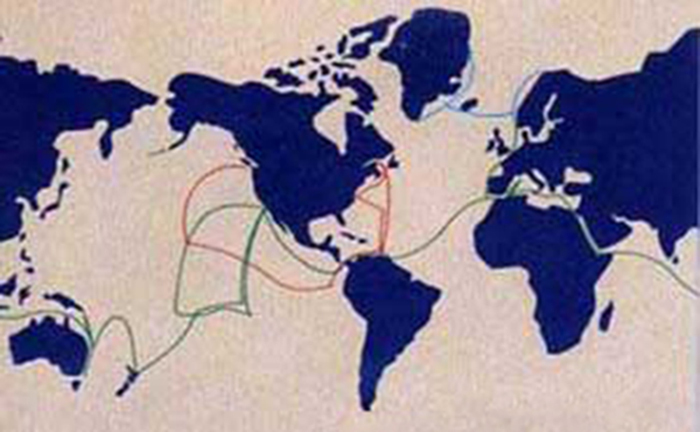 They then set sail on a fifteen-year world cruise, a circumnavigation and two South Pacific journeys, all without electronic aids except for an old "Simrad" paper depth sounder and a trusted traditional "sextant". Jimmy Cornell, author of Ocean Passages of the World dedicated his book to the Fletchers and DUEN's increadible voyage with them. 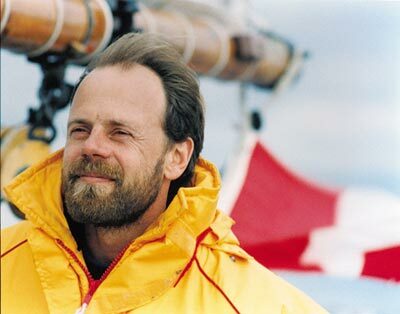 Michael Hobbis personal adventure with the Fletchers aboard Duen began in 1978 when he set eyes on Duen in the remote island of Suvarov, a small atoll in the South Pacific. Months later in New Zealand becoming Duens first mate. The 1 ½ year spent with Albert Fletcher helped shape his life as a knowledgeable mariner dedicated to social service. He not only learned from Albert sound traditional navigation skills but also to follow his natural intuition, most valuable out in the deep blue sea! In May of 1986 Dottie and Albert Fletcher stepped ashore with Michael and Manon Hobbis travelling backpack saying goodbye to Duen and their 15 years of worldwide sea adventures. The Fletchers land adventures saw them settle on a large ranch in the heart of Missouri for many years, where sadly Dottie passed away. A few years later saw Albert remarriage to his first wife Annie and their honeymoon aboard Duen with the Hobbis in Haida Gwaii, a special reunion with Albert and his family some 25 years later. Alberts adventures continues today in Nicaragua! For Michael and Manon Hobbis DUENs adventures began in 1986, as part of a youth training program to New York Harbour for the Liberty Day Celebration. After 2 years along the NE Atlantic coastline and in the Caribbean they made the long journey back to their home waters in the Pacific Northwest. From the Eastern seaboard through Panama Canal, back to the British Columbia coast via Galapagos and Hawaii, again DUEN proved herself a solid offshore vessel. In 1990 DUEN received Canadian passenger carrying certification for the entire British Columbia coastline. 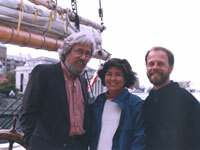 From 1990 – 1997 she was actively involved with the Coastwatch marine environmental program at Lester B. Pearson United World College giving students from all over the world, as well as visitors from the local community, the opportunity to participate in activities focusing on preservation and the importance of the delicate marine environment in which we live. In 1993 with the help of International student volunteers DUENs interior was completely renovated to create private accommodations, consisting of 4 double or twin cabins, with skylights and porthole in each. In 2000, keeping with the true spirit of traditional rigging, varnished hand haul blocks, a spacious wooden deck , and a seaworthy and classic style pilothouse was constructed. Dining over a fine meal can now be enjoyed in the social atmosphere below deck, around the extensive natural history library and warmth of the Norwegian stove, above deck in the Pilothouse, or around the large ondeck dining table for barbecues and sunsets. 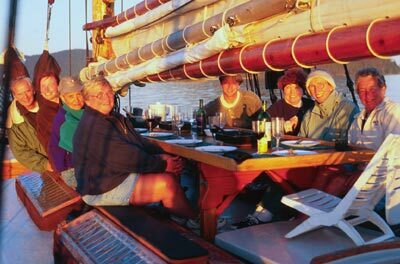 Duen is large enough for comfort and privacy, and small enough to create a great ambience for the 8 guests and 3 crew. DUEN is an extremely stable viewing platform and a visually pleasing foreground while underway. 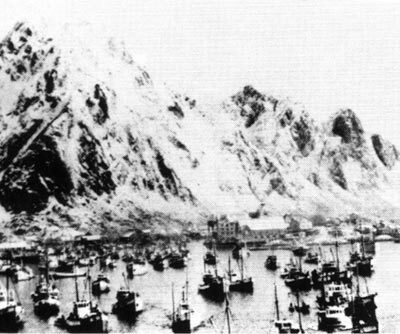 At anchorage, she fits in well with The Natural Coast. Over the years extra features were added to meet current charter vessel standard: Up to date electronic navigational equipment and safety gear, 120v power outlets, shower, 2 heads/bathrooms, 2 large inflatable, 4 kayaks, and an acoustic underwater hydrophone which allows visitors to listen to whales in their natural habitat. 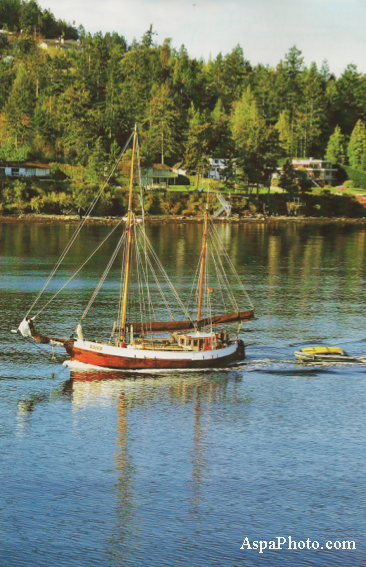 Duen Sailing Adventures grew from the challenge to demonstrate that environmental protection and cultural respect can be compatible with running a successful marine tour business on Canada's West Coast. Now, more than ever, it is necessary to create viable economic alternatives, which give value to ecological and cultural richness. We believe one of the best ways of conserving an area is by taking a limited number of people to experience and explore its magic first-hand.